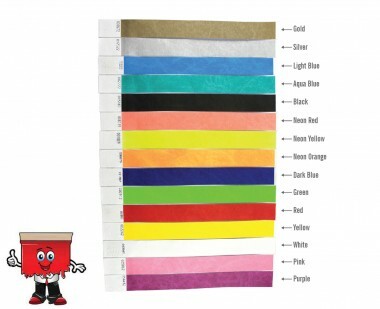 Tyvek Wristbands are the most affordable and cost effective wristband and often used for one day activities in amusement parks, theme parks, water parks, night clubs for age verification, general crowd control and for concerts. Perfect for 1 day use. Strong adhesive closure and unique tamper cuts cause. Our Tyvek Wristbands shred if tampered with. One time use only. Tyvek Wristbands are also available with custom printing.